“Database Publishing” rediscovered: With the new “Easy Publishing” edition (EP) of VivaNWP Designer, you create catalogs, brochures or price lists faster and more simply. With the “Easy Publishing” edition, VivaNWP Designer introduces a “Database Publishing” software with which you can create complex documents quickly and simply. Such documents are for example catalogs, brochures, price lists and much more. After the appropriate preparation, you will create single document pages in just a few seconds with a couple of mouse clicks. Negligible training time thanks to the simple user interface. The days of preparation and training normally needed for the creation of the complex templates are no longer necessary. Therefore “Easy Publishing” is even suitable for beginners. Fast and simple production of professional documents with just a few mouse-clicks. Perfect assignment of text attributes and positioning of images. Reliable updating of prices, text and images in a flash, thanks to the central collation of the data in a database or Excel file. If the data in the data source are altered, these changes can be updated immediately in the document. In all editions, VivaNWP Designer offers further advantages: Opening and saving documents in databases and on networks, definition of access rights, co-operation/exchange with Adobe® InDesign®. 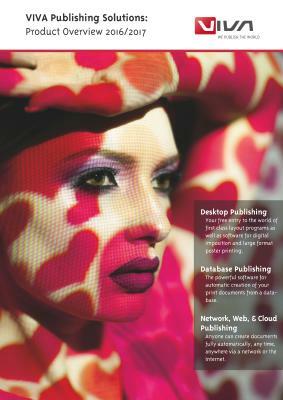 The “Easy Publishing” edition of VivaNWP Designer is available as a desktop or Web version. Please watch the video and convince yourself.